Here's a better look at the center console and floor shifter. 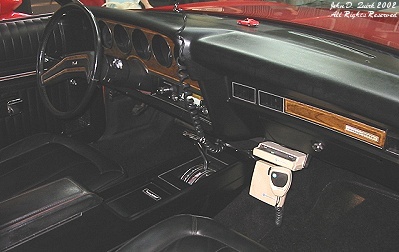 Again, the TV show cars had the shifter on the steering column, and no center console. The woodgrain piece above the glove compartment, like the piece around the gauges, is non-stock but looks nice. Normally, it is black.